The Banner Saga came out in 2014 after one of the first highly successful Kickstarters following in the wake of Double Fine, and we liked it a lot. It’s basically The Oregon Trail through a Norse legend-inspired fantasy land with some glorious artwork, Don Bluth-quality animations, board game-like battles and an epic story. So epic in fact that the first game was only Part One of a trilogy. After a two-year wait we finally have Part Two. But is it an Empire Strikes Back or an Attack of the Clones? Chris Capel is on The Viking Trail. For starters, if you haven’t played the first Banner Saga I don’t advise starting here. There’s a Recap video for anyone who hasn’t played it since 2014, but this is very much the second part of a longer story and gameplay-wise as the first part isn’t radically different there’s no sense not starting this journey from the beginning. Without spoilers, in this Viking-inspired land the gods are dead, the sun has stopped in the sky, and both humans and giant Varl flee from the advancing armies of the mythical Dredge. After the climactic battle at the end of The Banner Saga 1 you’re left with a single caravan to manage and one of the worst Dredge warriors dead at your feet. Now Rook or Alette or whoever you’ve got left is pressing on for the human capital of Arberrang in the hope of finding safety. In this Game of Thrones-style world? 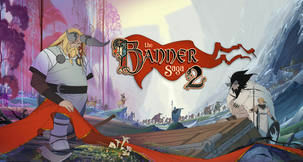 Fat chance, and not just because the caravan will split in two once again not long into Banner Saga 2. I was really invested in the story the whole way through. Despite being focused on a small group of people it’s really epic, and the characters are all fantastically well written. You’ll get attached to all of them, which probably isn’t a good idea. 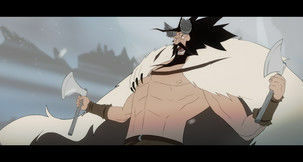 If you’ve played The Banner Saga, and as mentioned you really should have before considering the sequel, you’ll know exactly what to expect in terms of gameplay. You manage a caravan moving on a set path through a dark Norse fantasy world. You have no choice over destination or path, instead you have to manage supplies, morale, battles, the people and the hard choices that come up frequently. Along with the obvious similarities to The Oregon Trail the gameplay can be seen as similar to The Walking Dead and other recent Telltale titles, in that most of your time will be spent making tough choices and dealing with the consequences. In my opinion The Banner Saga 2 actually outdoes the likes of Telltale, The Witcher and other Choose Your Own Adventure games in this area. A decision in The Witcher might get a bad ending to a quest or have people dislike you. In Banner Saga 2 several of my offhand choices killed major characters, including at least one guy who I’d been upgrading since the start of the first game and was really important. Aeris who? These choices extend to maintaining your caravan. Supplies are the main resource which is consumed as you travel, with more people consuming more Supplies per day. There are two types of people: Clansmen and Fighters. 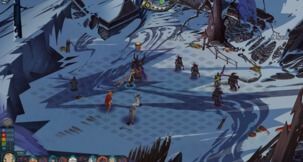 In one of the big improvements upon Banner Saga 1 Clansmen now forage for Supplies so you no longer have to rely upon buying them, and it makes Clansmen more important whereas they were a bit useless in the last game. Fighters don’t forage but the more you have the better you can protect Clansmen during War battles, gaining you more Renown - the money of The Banner Saga, which can be spent on equipment, Supplies, or upgrading Hero characters. Running out of Supplies, going too long without resting and various events affect Morale, which in turn affects your performance in Combat. Occasionally you’ll have to battle, usually either bandits or Dredge, and this takes place in turn-based combat on a board. Attack power is tied to Health, so units weaken as they get hurt. Special moves, improved attacks and extended movement all consume Willpower, which can be replenished but still needs to be used wisely. Will The Banner Saga 2 end up on our list of The Best PC Games for 2016? It certainly will! Everything going splendidly as usual. The combat is all about using a Hero’s abilities efficiently and Willpower cleverly. It all seems identical to the last game at first but there have been a number of improvements. For starters there’s a lot more dialogue during combat, which is a small thing but helps ties the battles into the story a lot better. Secondly Stoic have introduced objectives. In Banner Saga 1 your goal would often just be “kill anything not friendly” whereas here there’s more of a range, like maybe kill one specific unit or clear a path through a snowdrift. 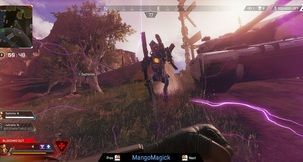 This allows players to think more tactically and means that going brute force with unit types isn’t the way to victory, and consequently the combat is a lot fairer and more palatable this time around. Excellent. Yep, seriously, that’s it. Basically any computer or probably tablet bought in the last ten years (or more) can run Banner Saga 2. That doesn’t always mean anything though, but fortunately the game runs perfectly without any slowdown and minimal load times no matter what I had running in the background. In short, don’t worry about performance. The Landmarks are particularly beautiful. Furthermore, it’s gorgeous. It’s all lovely, detailed 2D artwork with brilliant character and location designs along with occasional Don Bluth-quality animated cutscenes. It’s lovely and with such a simple setup manages to tell an epic end-of-the-world Norse fantasy story better than most AAA games or Hollywood movies. I particularly love how the caravan shows literally every one of your Heroes, Clansmen and Fighters on-screen, with all the main characters instantly recognizable. 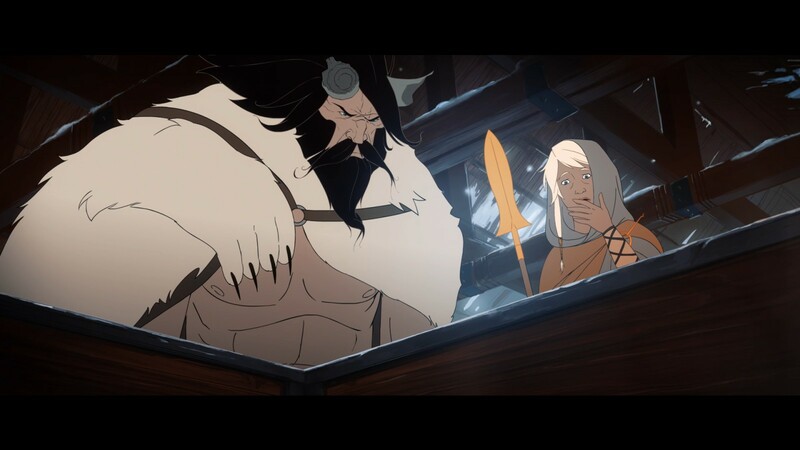 If you’re expecting full voice acting you’ll be disappointed, all the dialogue is in text - but there’s still a lot more VO than there was in Banner Saga 1 and it’s all appropriate to the story and location, with great accents. The music is once again by Journey composer Austin Wintory and if anything it’s even better than the first game. There’s a lot more vocal singing and epic moments, and I’m cross I didn’t get the soundtrack now. The one other major improvement I haven’t mentioned is the Training. Previously it was rather pointless, but in Banner Saga 2 it’s rather essential. It cleverly teaches players how to exploit particular Hero abilities, for example I had no idea why Bolverk would attack twice in one move until I played the Training and discovered his passive ‘Frenzy’ ability. 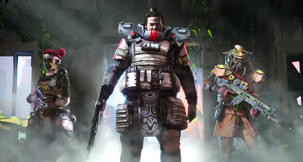 Furthermore Stoic realize that players need to be bribed to play Training missions so they give a lot of Renown for completing them - and they can be quite tough, fun little challenges. Play the game to find out what's in the box. I’ve been hugely positive all through this review, so do I have anything bad to say about Banner Saga 2? Only a few minor things, and with all of them I know why Stoic decided on them. 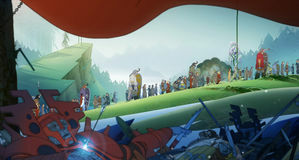 There’s a lot of improvements over Banner Saga 1 but a few remain. Saving is still not highlighted so every time I quit the game I’m taking a risk. The developer obviously didn’t want people to “game” the system by reloading every time they made a bad call, but unless you want to sit at your desk for 12 hours you’ll probably want to leave the game at some point and this’ll annoy you. Furthermore the Map Screen is still just cosmetic and it’s a shame the player has no say over the caravan’s destination or even route, but I’m sure that’s down to Stoic just being a four-person team and, well, it’d break the story. My final “complaint” comes from the pedantic old-school gamer in me: this is not Banner Saga 2, it’s The Banner Saga: Part Two. It’s not really a sequel per se, it’s the continuing story and while chock full of improvements the game is basically the same. Maybe I need to replay the first one again to see how much better the sequel is, but it felt like the next episode rather than a sequel. A longer, more satisfying episode with basically everything polished, but still another episode. Yes, I know, pedantry in it’s highest form, but don’t expect anything but a nicer version of more of the same, that’s all I saying. 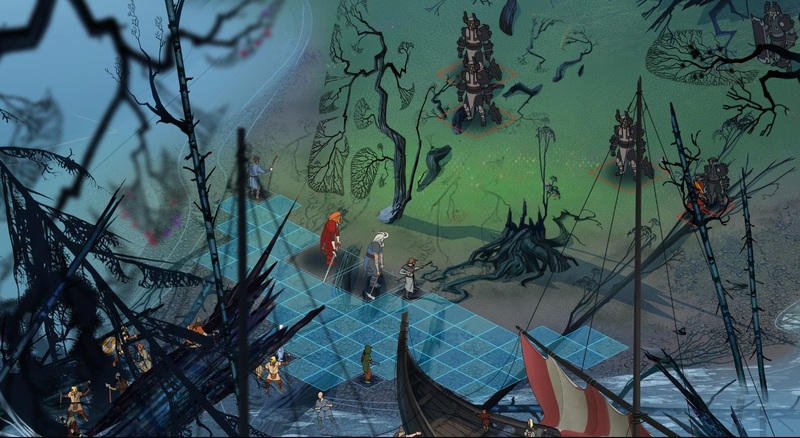 Banner Saga 2 may be just the next part of Stoic’s ongoing tale but basically everything has been improved. They’ve kept the lovely art, animations and design and continued the wonderful apocalyptic story for a gripping twelve hours filled with twists, turns and probably deaths, with hard choices that can have real consequences to the story. 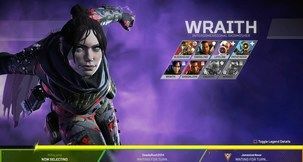 The slightly iffy combat has been buffed by the introduction of proper objectives that call for actual strategy, and the Training missions ensure you’ll know how to use Heroes effectively. I was hooked for my entire playthrough, unlike the first game never needed to turn the difficulty down to Easy just to finish it, and I’m sad that it’ll be another two years before I can finish the story. If that’s not the mark of a good game I don’t know what is. The introduction of the Eyeless sticks out in my memory. Lovely 2D art interspersed with delightful film-quality animations. Music and VO are great too. Turn-based combat hugely improved and feels actually strategic now. Training missions help a lot, and I like how they bribe players to ensure they play them. Still totally on-rails with no choice over route or destination, still doesn't tell the player when it's saving, and the Map's nice but still useless.